Osteopathy can benefit everyone, of all ages. It is well known for relieving specific symptoms but it is also a great way of keeping your body working optimally. Many of my patients have maintenance sessions to keep on top of long term conditions or to prevent the recurrence of old problems. It can provide safe and effective treatment during pregnancy; for new babies, toddlers; young children and teenagers, through to adulthood and beyond into old age. Opposite is a list of just some of the symptoms that osteopathy can help with. 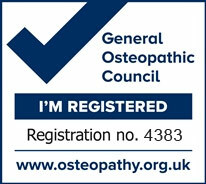 Please get in touch if you are unsure whether osteopathy may be suitable for you. Osteopaths treat individuals rather than just conditions.